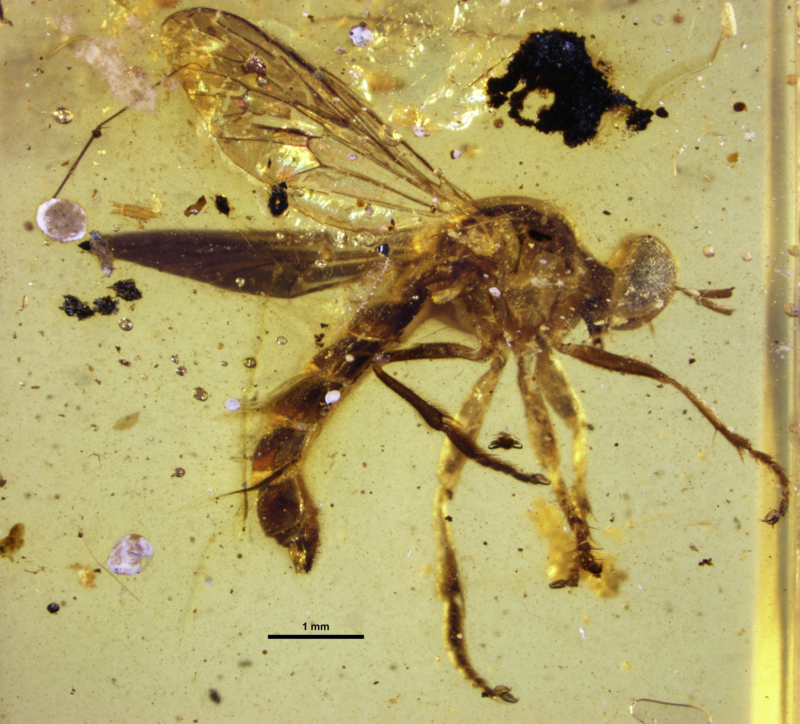 National Museum of Natural History scientist Torsten Dikow discovered and named a new species of assassin fly, Burmapogon bruckschi, after studying the first two specimens ever preserved in Burmese amber. For more than 100 million years, assassin flies have ruled the world of insects as a top predator. 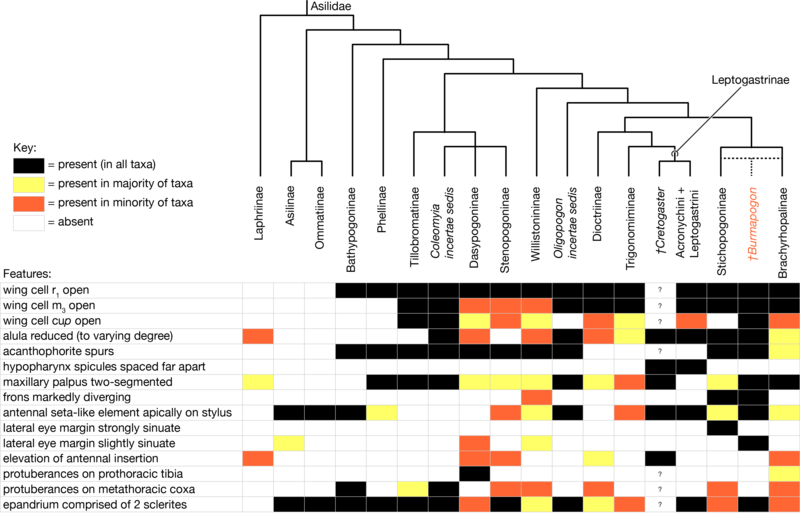 The lineages of these ancient creatures, known for their ability to catch and prey upon nearly any other insect, were previously only studied in limestone fossils dating back to 112 million years. Details of the new discovery are published in the April 21 edition of American Museum Novitates. 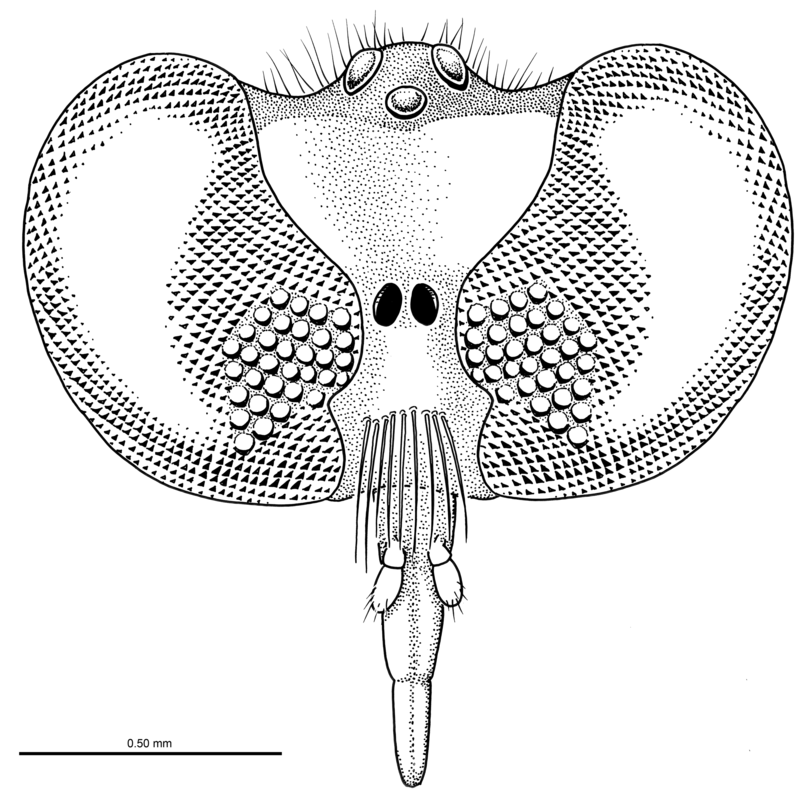 After examining the morphology of a male and a female specimen using a microscope, scientists identified several distinct features that are not found in modern species of assassin flies, including long flattened antennae and a unique v-shaped eye structure. Assassin flies are named for their fierce predation strategy; they ambush and catch their prey in flight, puncture their armor-like skeleton and inject them with digestive fluids before extracting the nutrients within. 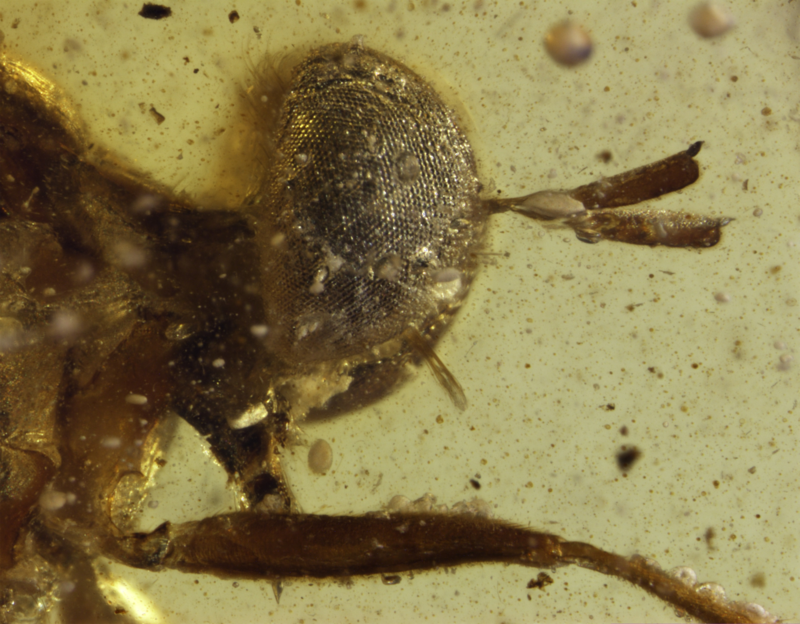 The female B. bruckschi contained small spines on its abdomen, leading researchers to hypothesize that these insects are most closely related to other assassin fly species that use these spines to dig and deposit their eggs in sandy environments. 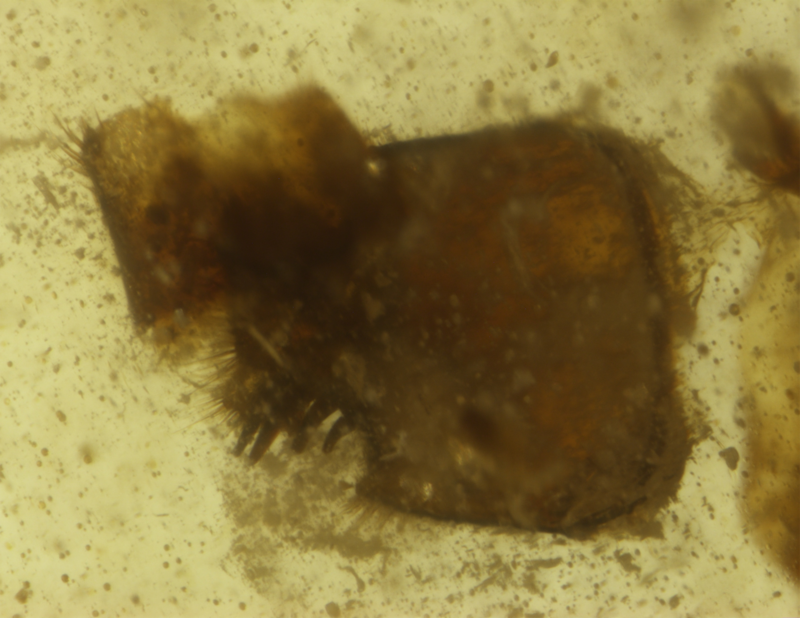 This 100 million year old fossil of a male assassin fly provided researchers with a new window into the ecology of the Cretaceous period. For more than 100 million years assassin flies have ruled the world of insects as a top predator, and over 7,500 species are alive today.